'Training Increased My Running Knowledge Tenfold' | Run S.M.A.R.T. 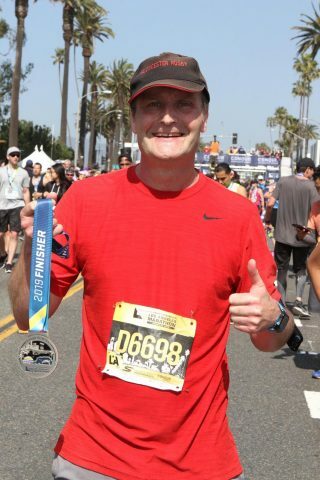 The LA Marathon is only once a year so it was important that I got my training right. I completely put my trust in your program and it worked! 3 hours 58 minutes 18 seconds – decimating my previous best time by 23 minutes!. I now realize I’ve been running “blindly” for the last few years – not really knowing what I was doing. Your 24-week program and the (subsequent success at the) LA Marathon has been a great learning curve for me and has increased my running knowledge tenfold. I now see the value in regular quality easy running and not trying to kill it every time. I’m almost fifty and this is the first time in a few years I haven’t been carrying any injuries.